OmniDeck with Oval Handwashing Basin. 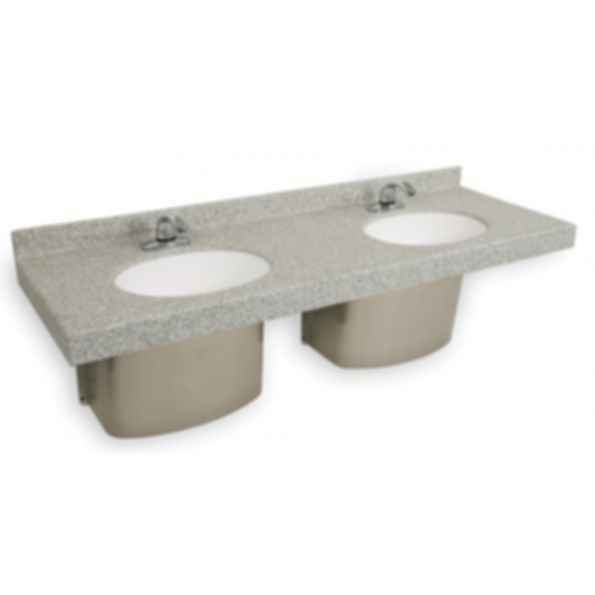 Integral Basins are available in solid colors or the same color as the deck. Coved, seamless backsplash eliminates potential build-up of dirt and bacteria. Serves one or more user.Integral bowl options create seamless look.